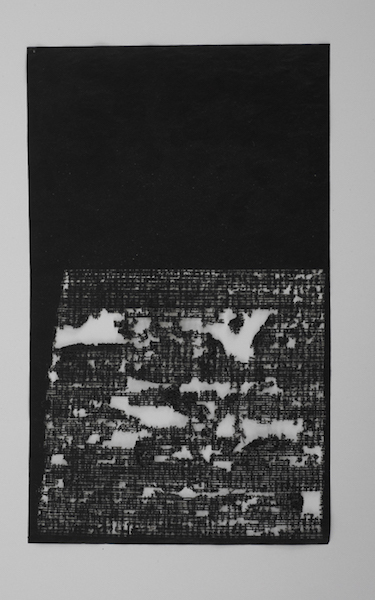 Robin Cameron, Movement II, 2012, Chine Colle (japanese paper, wheat paste) Letterpress on paper, Overall: 75 x 105 in. 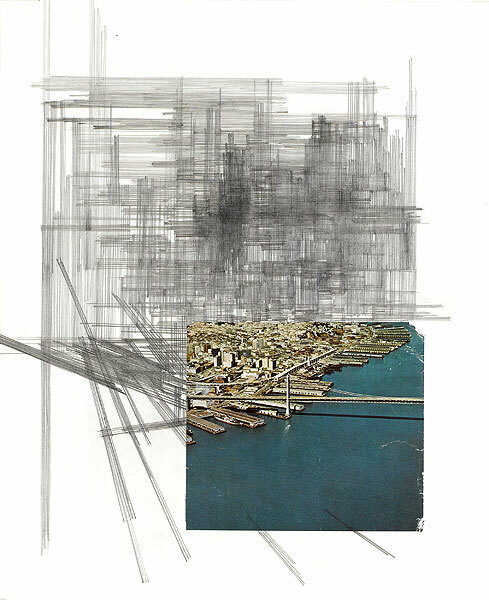 Raffaella Chiara, Western 2, 2008, Pencil and collage on paper, Paper: 20 1/2 x 17 in. 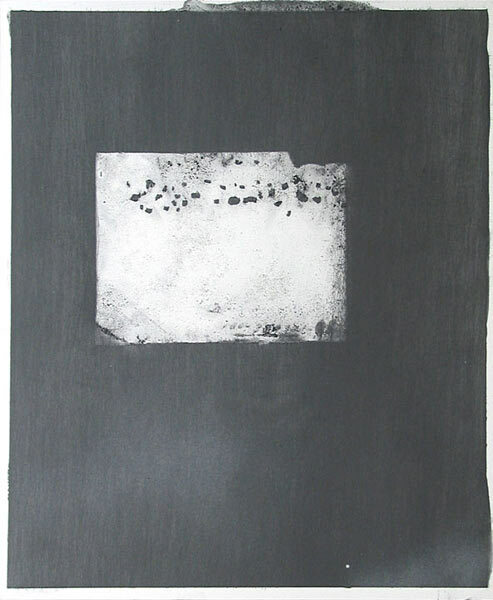 Jamal Cyrus, Codec Rite (1), 2007, graphite on paper, Object: 17 x 14 in. 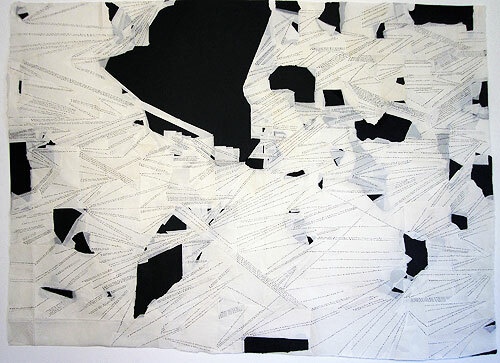 Annabel Daou, I Don't Know Where I'm Coming From, 2011, Ink and repair tape on handmade paper, Framed: 38 x 50 in. 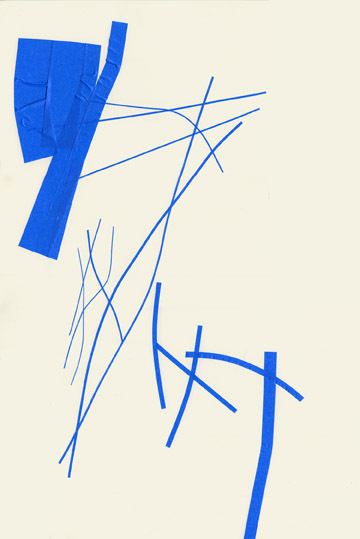 Christine Hiebert, Untitled (t.08.2p), 2008, blue adhesive tape and glue on paper, Object: 23 15/16 x 16 in. 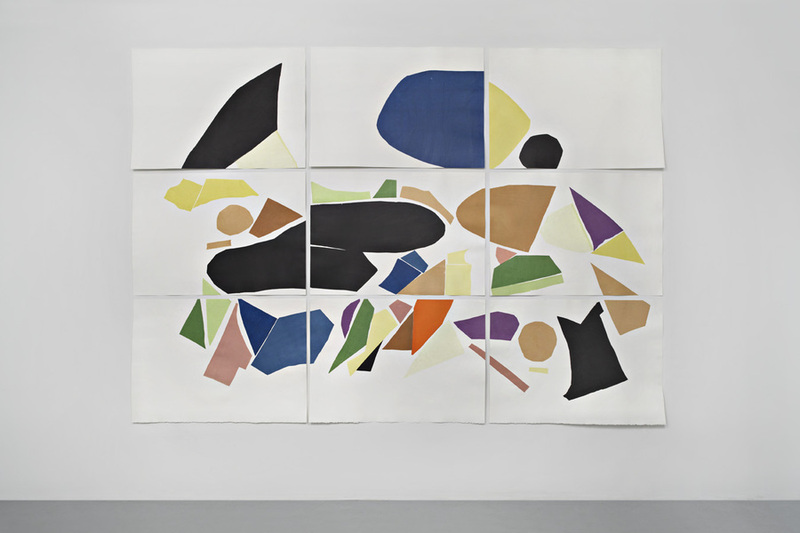 Rebecca Morris, Untitled (#141-12) , 2012, Mixed media on paper, Frame: 18 3/4 x 14 3/4 in. Allyson Strafella, Untitled, 2007, typed colons on carbon paper, Object: 8 1/2 x 5 in. 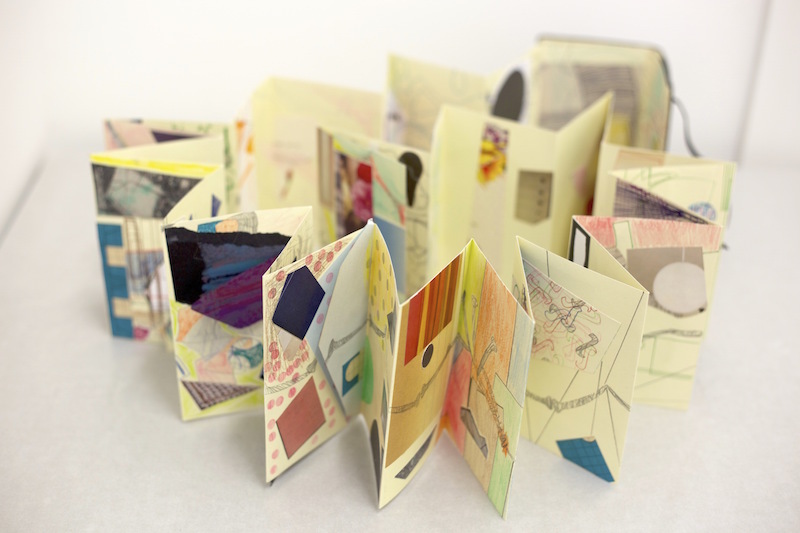 SYZYGY is a curatorial and study platform focused on unique contemporary works on paper held in the JoAnn Gonzalez Hickey collection. It is a resource available to graduate level curatorial, studio art and art history students, poets and creative writers for scholarly investigation. 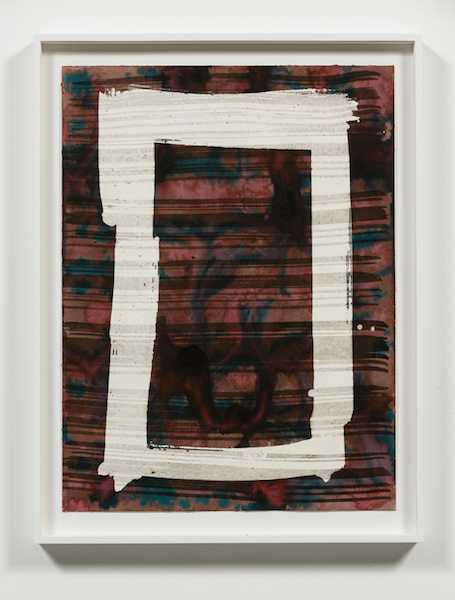 SYZYGY has been established in an effort to promote a deeper understanding of the nature of works on paper while mining the many layers of artworks held in the collection. Serving as a lending library, the program offers students and scholars the opportunity to access the collection for historical research, genre studies, critical analysis, catalogue writing, installation methodology, collecting and archival practices, salon presentations and formal exhibitions. Any resulting engagement with the collection will be fully documented for the collection archives. Student participation will be administered by the associated educational institution. The SYZYGY study platform aims to increase the exposure of artists working on paper while advancing the awareness of the genre. SYZYGY offers an opportunity to study the dynamics of an independent art collecting philosophy which, beyond aesthetic boundaries, is informed by intrinsic response, unconscious memory and a personal history.